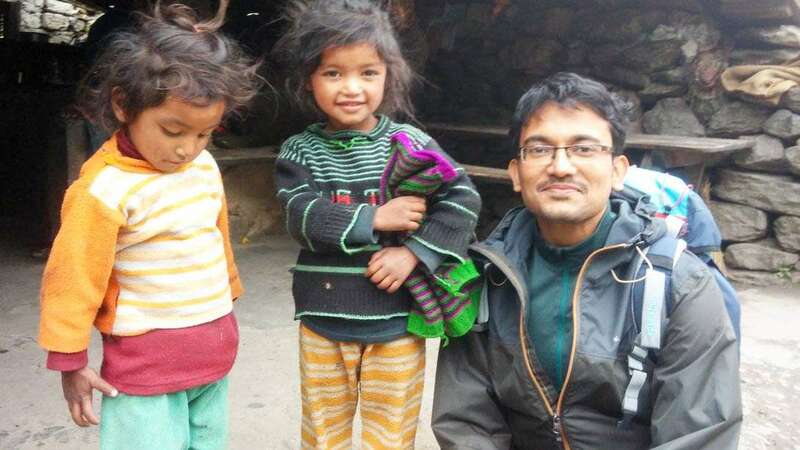 What follows is my story… how I transformed from a closed and lonely person wanting to crash into highway road dividers to a joyful human being – Bhaskar Ghosh shares. This time I didn’t say “no” to Mohan when he suggested yet again— “Bhaskar, you should try yoga!” I knew I needed help. I was in a very volatile, unstable mental state and had luckily survived a few crazy suicidal thoughts. I paused for a minute before replying, “Okay, send me the details.” I didn’t know at the time that my life was soon going to change forever. Everything seemed perfect in life back in 2011. Employed by a top IT company, a research associate at the prestigious IIIT-Hyderabad, a popular troubleshooter among my colleagues, considered a successful and generous person among my friends and family – I was on a winning horse. Until the day my boss called me up and asked me to work on a Priority One troubleshooting project for an important client. I was part of a team of three members. Initially, it seemed like another privilege handed to me. But soon I found myself in the middle of a situation that I couldn’t handle. Four months into the project I found myself grappling with incessant issues, high-pressure customer calls, lack of sleep, along with the demands of my research project. Bhaskar Ghosh was burnt out, all of 29 years old. I was just angry – but I didn’t know with what! Was it my fatigue or frustration? I couldn’t tell. At some point, my team members said that it was lack of protein that may be causing it, and encouraged me to shift to non-vegetarian diet. I had been a vegetarian by choice for many years then, but I don’t know why, I went with their advice and started on a heavy non-veg diet. That didn’t help at all. Soon, my mental health worsened. Many times, on my way back home from the office late at night, I would think of crashing my bike into the road divider to vent my emotions. I had a brief respite when I saw my dream to get married to a wonderful girl coming very near to reality. I was really loving those few months of togetherness, even though it was over the phone. However, this little support turned into a massive blow when my parents broke our anticipated engagement. I was crestfallen. My anger and sadness knew no bounds. I cried and cursed! I could not even look at my parents. I was eating too much, not sleeping well, and I had put on a lot of weight. Thoughts of suicide became frequent and intense. Earlier in January 2013, Mohan had asked me if I wanted to attend a yoga program with Sadhguru. Mohan was brought in to support our team four months into the project — he was also researching at IIIT Hyderabad with me. But unlike me, he remained utterly calm and sailed through that high-pressure project much easier than I did. Though I admired him and lamented at my inability to be like him, when he asked me to join the yoga class, I ignored him. ‘Another bearded godman with something that will never work for me... ’ After taking a cursory look at the pamphlet with Sadhguru’s photo, such thoughts ran through my mind. Now, after my engagement prospects had ended, something in me had been completely shaken, and I was looking for a solution, some help! It was getting worse by the day and I knew that day wasn’t far away when I would do something drastic. Sometime around late May 2013, I came across Sadhguru via a friend on YouTube. Without thinking about it, I gave in and watched the whole video. I can’t articulate what that short talk meant for me. Soon, I started gobbling up Sadhguru’s words. I was literally hooked to YouTube to hear him more and more. The next fifteen days, I knew not time! Whether it was morning or day or evening or night, whenever I got time, I used to watch and listen to him – one video after the other – non-stop! And then I happened to hear him talk about Inner Engineering. So, after getting details from Mohan, in May I enrolled in the Inner Engineering program at Jubilee Hills, Madhapur, Hyderabad. The program was in September, which seemed like an eternity to wait in my mind. On September 3, 2013, I woke up at 4:30 am and saw the sun rise after many years. I reached the venue well before 6 A.M. Seeing volunteers standing to welcome me with gently folded hands, guiding participants with a smile… it seemed too surreal to believe! I looked with suspicion at everything initially. But the music playing that morning, a calm, quiet tune, settled me down. I gave in to what was happening and soon, I started loving the place. Seven days went by like a breeze, with each day bringing a new level of transformation within me. By the end of Day 7, I felt like a load had lifted off me! I practiced Shambhavi twice a day for the next six months. And later I replaced my morning Shambhavi with the Shakti Chalana Kriya that I learned later. I started to experience an inner sense of calm. Tears of joys just rolled down my cheeks many times during the practices. My irritation and anger reduced considerably. I lost 12 kgs after one year of practice and returned to my normal weight. My dependence on medicines also came down substantially, and my immunity and health improved. I became more fit and active. Yes! I had started enjoying life! 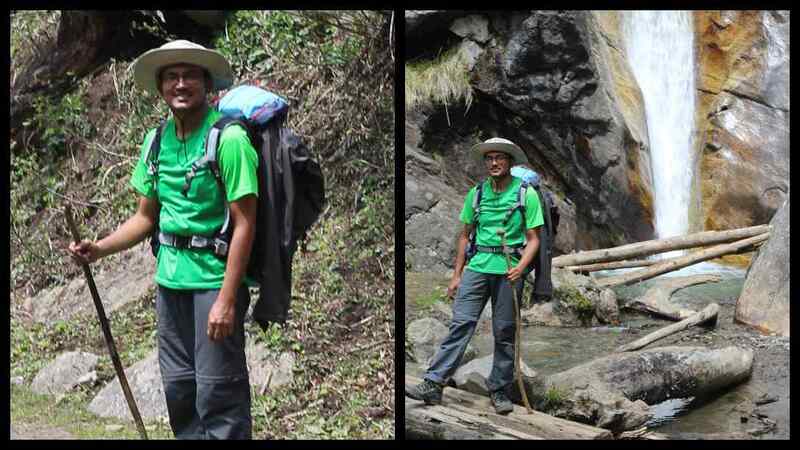 I started trekking and experiencing nature – the mountains, the dusty soil, the rivers, the people around me on the path – like I never did before! Soon, I discovered the bliss of volunteering too. 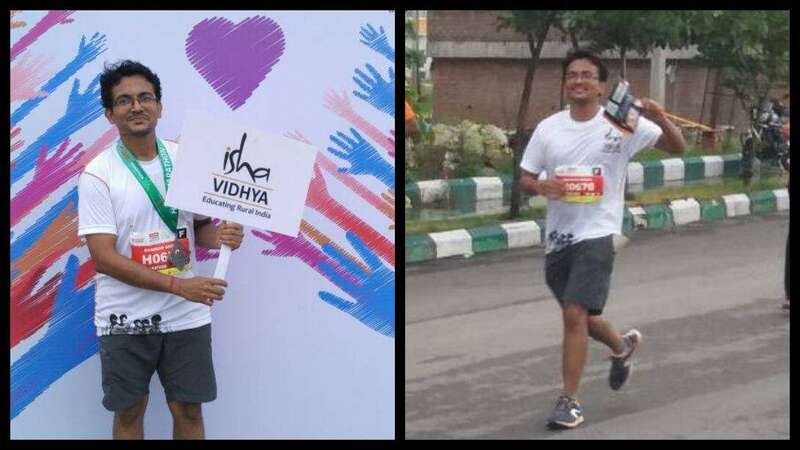 I ran marathons to raise funds for the underprivileged children of Isha Vidhya schools. I rediscovered my own aesthetic and artistic nature, and realized its importance. And most importantly, I became happier. Same work, same friends, same family, no girlfriend still… but I was happy! Where did loneliness go? Where did the frustration, anger and irritation go? I think all of them went on the fast exit route, soon to be replaced by joy, laughter and tears of happiness! I still falter at times, but because of clarity and more control of my mind and emotions, I stabilize quickly. I am much more open and no longer hesitate to take the initiative or apologize for my mistakes. Still, it is not enough… I am continuously a work in progress. I am Bhaskar Jyoti Ghosh. I live in New Delhi and work as Principal Applications Engineer at Oracle India Pvt. Ltd. The original concise sharing of my experience is here. Prabhu shares how the tragic story of his childhood and adolescence took a turn in a way he never dared to hope for.